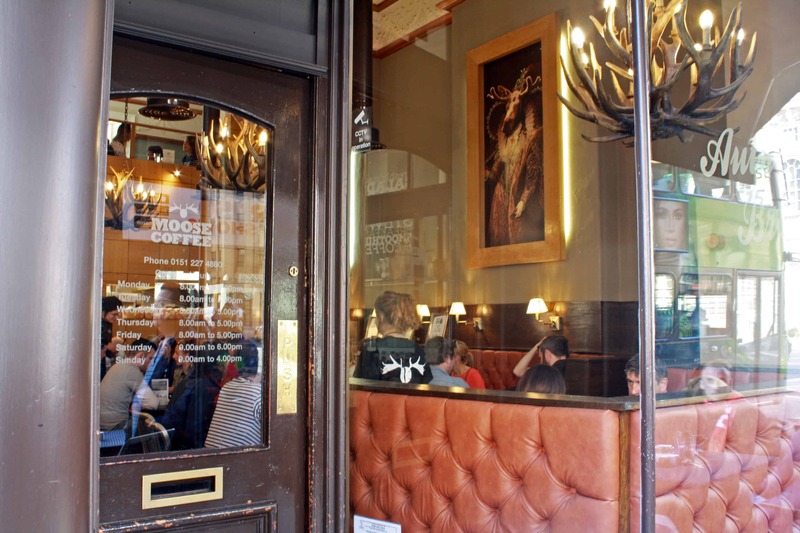 Inspired by North American and Canadian breakfast and brunch flavours (hence the Moose theme), Moose Coffee brings the diner attitude to Merseyside and surroundings with a total of five restaurants, three in Liverpool and two in Manchester. 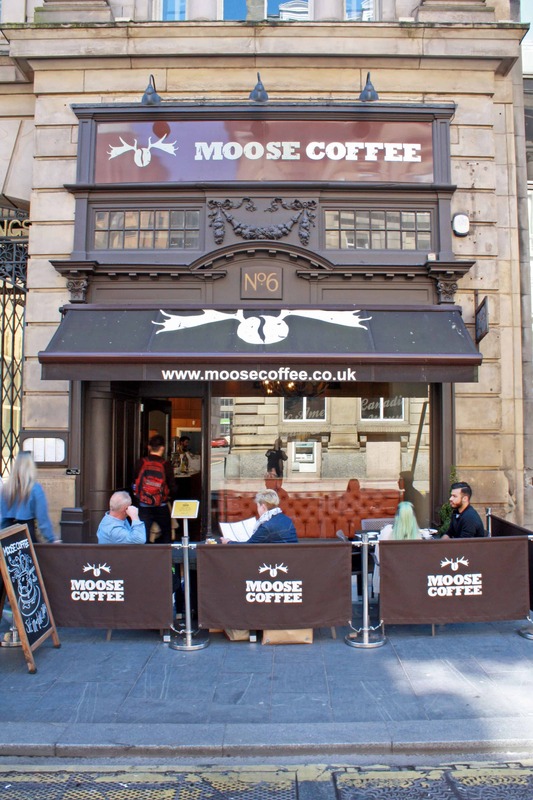 We opted for Moose Coffee Dale Street, a stone throw from two of the The Pool‘s emblematic landmarks: the Liver Building and Cavern Club, the legendary live music venue famous for showcasing The Beatles. 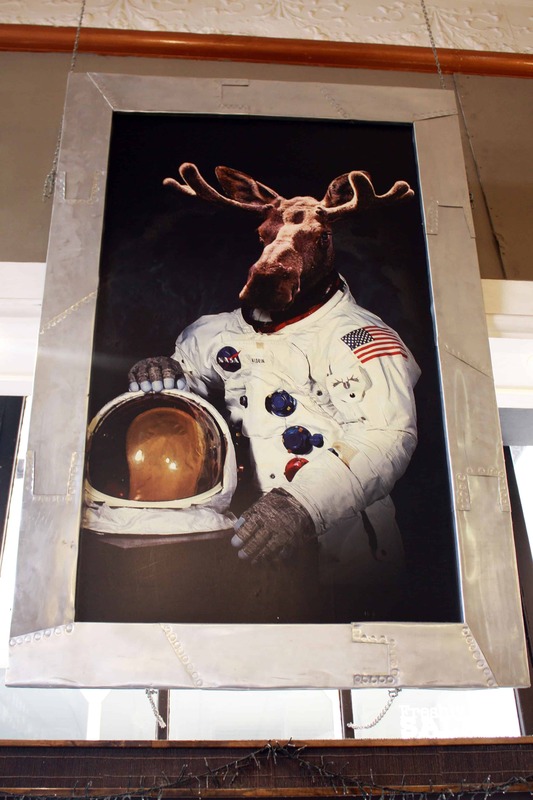 Venturing into Moose Coffee after a short 10min wait outside (they don’t take reservations and are first come, first served), we were welcomed by a two-level cosy interior with a smart décor featuring large leather booths, wooden tables, antler chandeliers and moose themed artwork (moose dressed as an astronaut, an admiral and a queen). 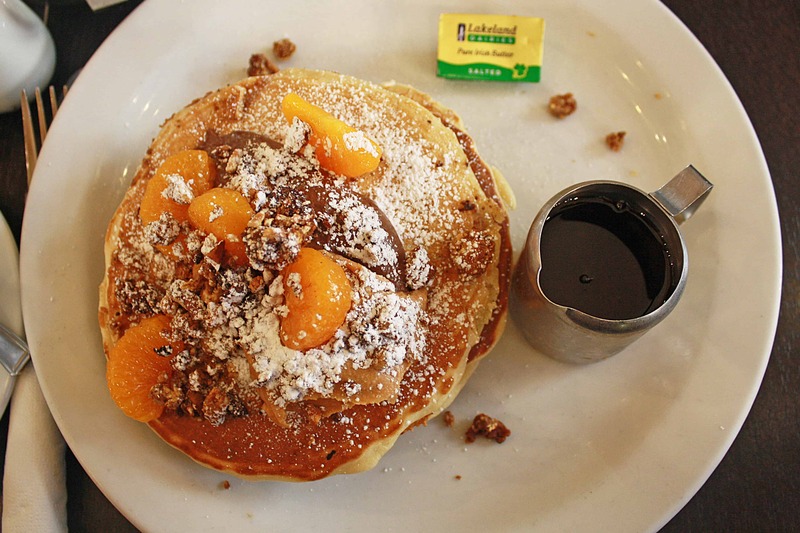 We quickly nestled into our table and our eyes focused on the pancake selection of the menu. 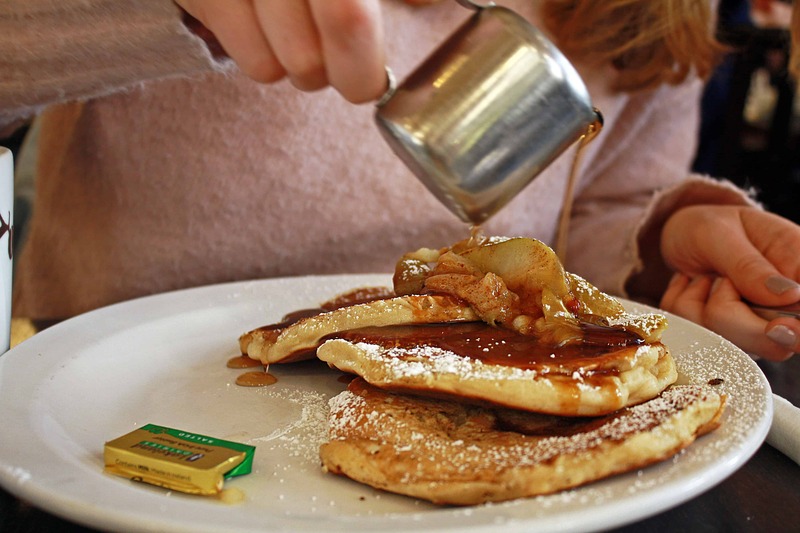 Whilst Sam enjoyed the Moose Granola & Chocolate Peanut Butter Pancakes, topped with orange pieces, I opted for the cinnamony Moose Apple & Homemade Salted Caramel Pancakes. Both portions came with Canadian maple syrup and butter on the side (aka a total favourite)! Needless to say, the pancakes were as gorgeous as we expected. Although a more manageable stack than the Bubby’s pancakes we had in New York, these were equally as tasty. My mouth is watering just thinking about them! 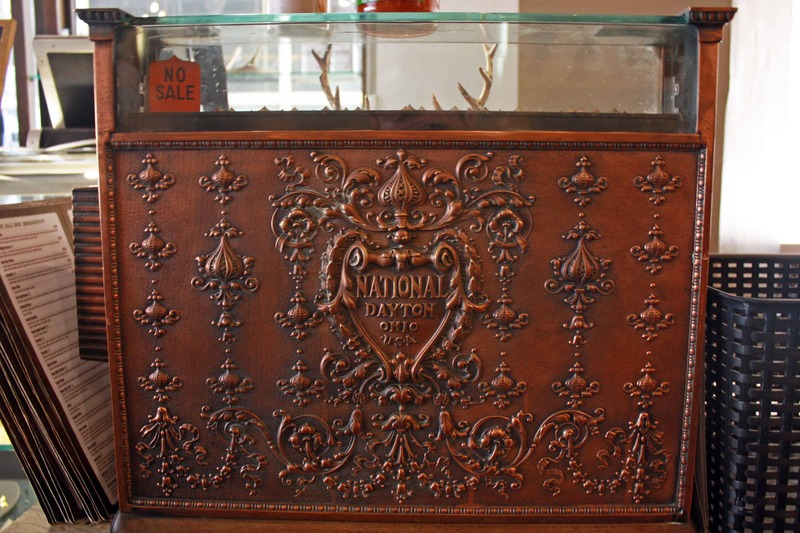 But it’s not all about the pancakes at Moose Coffee. They also serve a long list of different dishes including all-day breakfast, sandwiches, various egg options in all their shapes and sizes (Benedict, scrambled, rancheros, omelette, poached…), waffles, salads, French toast and creamy milkshakes. I couldn’t resist but giggle when I read the ‘Covfefe’ option on the menu. ‘Despite the constant negative press’, covfefe turned out to be an omelette with two chicken patties and a griddled tomato. Best part is that Moose Coffee donate 50p of each covfefe dish to international aid and child refuge charities! Let me know if you try it, I’m particularly interested in knowing what it tastes like. Plus it’s for a good cause! Whether for a yummy breakfast or brunch, or even an evening meal, this is truly a must if you’re in the area. A fantastic restaurant with beautifully served dishes, spot on service always going the extra mile and an enviable location near Liverpool’s city centre. I could certainly get used to a stack of pancakes from Moose Coffee a week and without hesitation would recommend to anyone visiting Liverpool or Manchester. These pancakes look amazing! We need to find somewhere like this in London! Thank you so much for this post! We have been toying with the idea of a wee mini break to Liverpool and those Pancakes alone are enough to pull us to a strong, decisive, Let’s go! As an American, I’m so happy for you that you have an authentic pancake house accessible to you! They look delicious! I need this! I need this so much!! At home we venture out into crazy pancakes as well (a truly terrible for you butterscotch, chocolate caramel sauce), or waffles (chocolate lemon), but damn! im right therewith ya! As a Canadian, I enjoy that this place exists WAY too much. Isn’t Canadian maple syrup amazing???? What an amazing place. 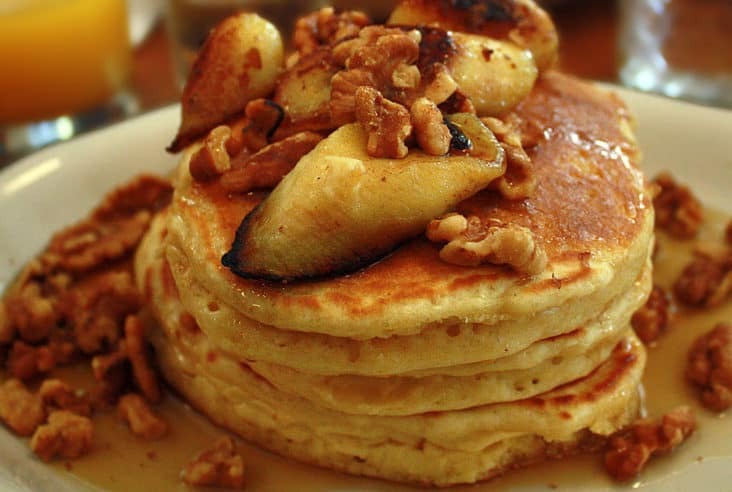 The photos of the pancakes look so tempting! Definitely worth a short wait to eat there. You’re right!! All you need is a good ole pancake! HONESTLY I CLICKED ON THIS BLOG BECAUSE THAT PHOTO LOOKED SO GOOD , BUT NOW I HAVE TO VISIT THIS RESTAURANT. These look amazing!! For a sweet tooth like me, this is heaven! Wow! These look amazing! I love any place that offers amazing all-day breakfast food. Aaaahhhh obsessed with pancakes atm!! 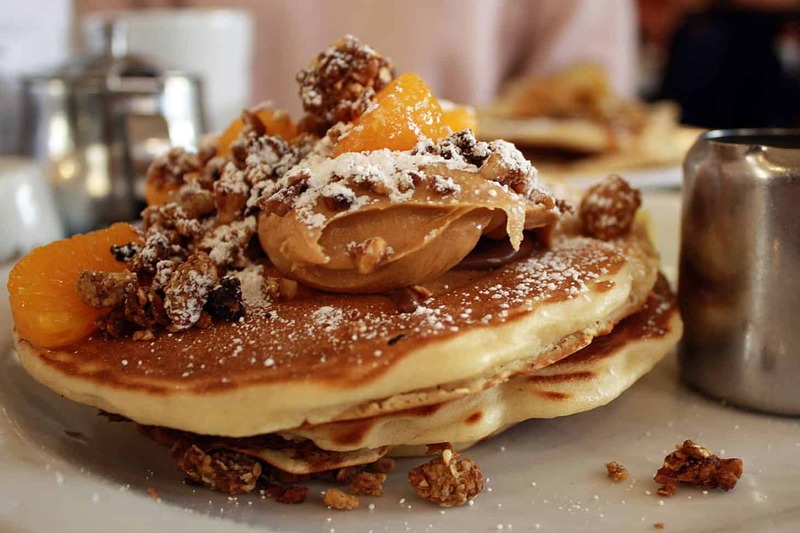 This place looks so cosy and the food looks amazing, them pancakes oh my word! 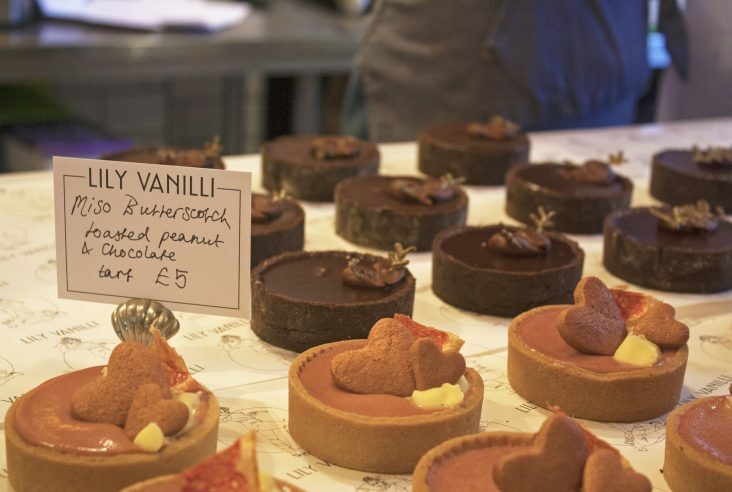 Whenever I read food posts I always get so hungry afterwards haha, I used to go to Liverpool a lot as I was at Uni near by but I never visited, I do want to go back soon though so I think this will be on the list to go visit! 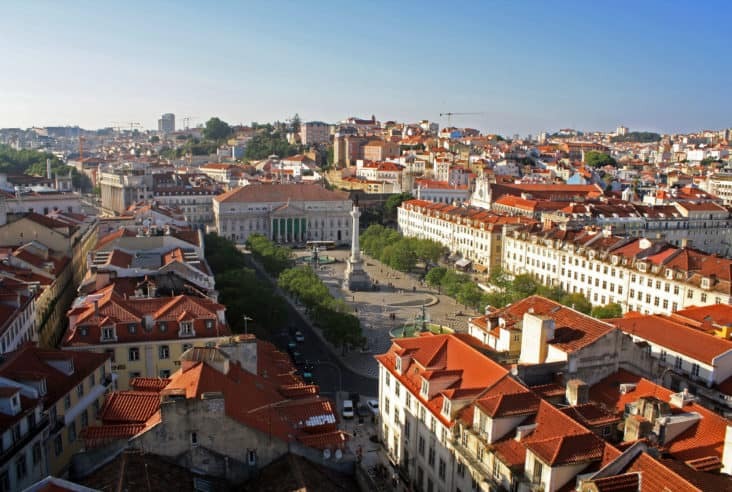 I am definitely going there soon with the family! More amazing pictures and very tasty looking pancakes. Those pancakes look so so good! The moment I read Moose I thought of Moose Jaw a city in Canada and so I thought it would be a Canadian Restaurant.